In today’s world, most people seem too busy to take care of their health. Due to this, some have even developed lifestyle-related diseases, but it’s not enough challenge for them to attend to their body’s. You ought to understand that the gym is great for your overall health and is the way to reach your body goals such as losing weight or gaining muscle. Also, some people claim to be working out at home, while others say that they possess videos that they watch while working out. It may not be a bad idea, but you should make it your resolution this year to join the gym because it’s a place for everyone to go for ultimate fitness motivation. Working out on your own without experience may be disadvantageous as you may end up doing the wrong exercise to attain a particular goal. 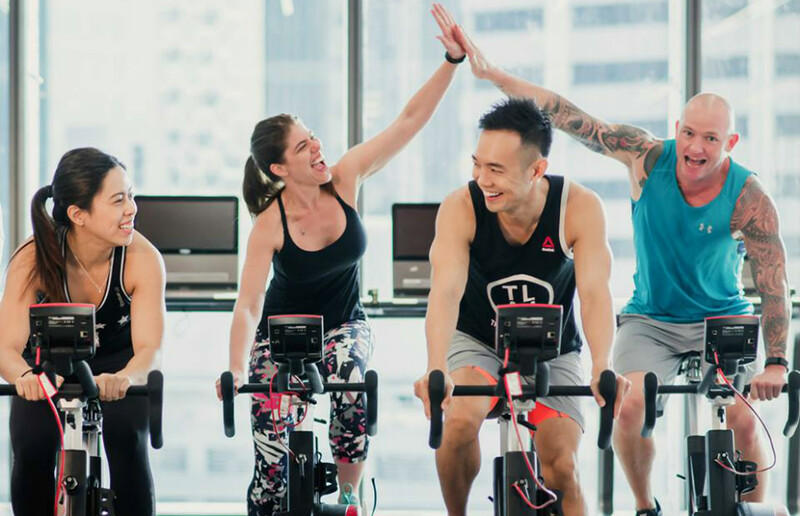 Therefore, here are the reasons why you should join a gym and fitness center in Singapore in 2018. When you become a member of a gym and fitness center in Singapore, you get access to an array of equipment including strength machines, cardio machines, boxing kits, weights and other functional training gear (resistance bands, TRX, and fit-ball, etc.). Different options for equipment at the gym will enable you to keep an exciting and fresh routine, unlike at home where you will be short of workout equipment. Although the equipment at the gym can be intimidating at first, you will get help from the friendly experts and discover that using them is not complicated as they look. At the gym, you will find professional and experienced personal trainers (PT) who are certified to train you in many fields, including health and sports-related degrees. They will give you advice on the best workout and exercises to help you achieve your fitness goals. You will be given personal direction for your workouts in the gym, all of which will keep you safe and motivated. If you are a newbie, you will get access to the tools and knowledge that will help you start your fitness journey. You can get all these and other advantages by getting booked on induction programmes, by attending the classes, or getting a personal trainer. Working out on a regular basis may not be an easy task for lots of people since it exhausts the mind and body. Some don’t even get to achieve their goals in the desired time period. Hence, they tend to give up. Maintaining a work-out regime regularly at home is impossible. You will get lots of distraction such as phone calls, the computer, the doorbell, and the even the kids. On the other hand, working out in the gym will give you motivation because you are surrounded by other motivated people who are steadily and slowly pushing themselves to attain their fitness goals. It will encourage you to also stay on track since the gym is such a dedicated place of working out. If you have been thinking about working out and you don’t know the benefits of joining a gym in Singapore this year to maintain a healthy lifestyle. Join this gym and fitness center in Singapore this 2018 – such as the Fitness First – and be in the best environment of exercising in an environment that will keep you motivated, give you the necessary knowledge, and access to equipment among other benefits.